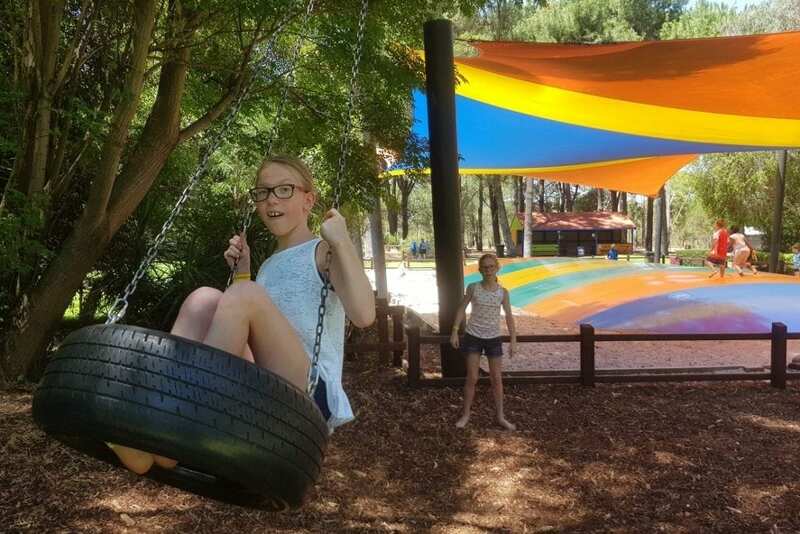 The Maze, home of Outback Splash, is a family fun park located in Bullsbrook, about a 30 minute drive from Joondalup. 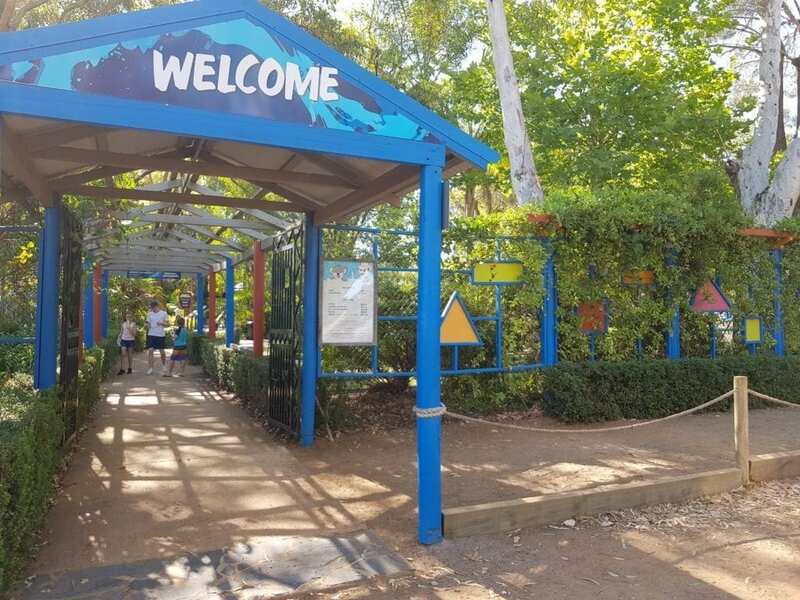 Whilst Outback Splash is hugely popular in warmer months, you can visit The Maze and its attractions all year round. 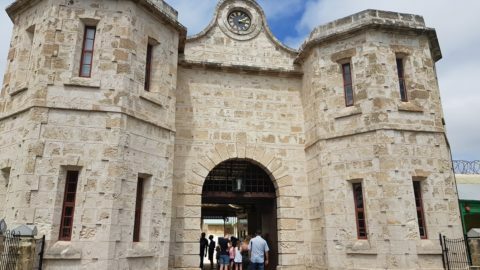 All attractions are included in the entrance fee and kids under 4 are free. 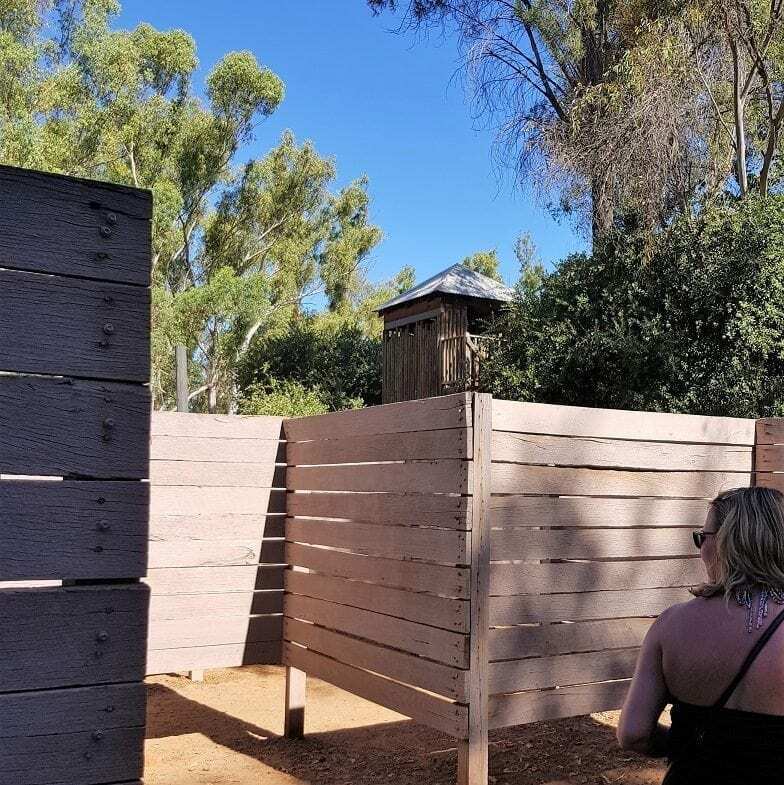 The park has six mazes with the biggest being the timber maze, found close the entrance. We find this maze the most difficult! The wood panels look the same at every turn and it was really easy to get lost! The aim of this maze is to navigate your way to the tower. From the top you get a great view of the maze (and can help your bamboozled friends!) and kids will love taking the slippery slide back to the bottom. 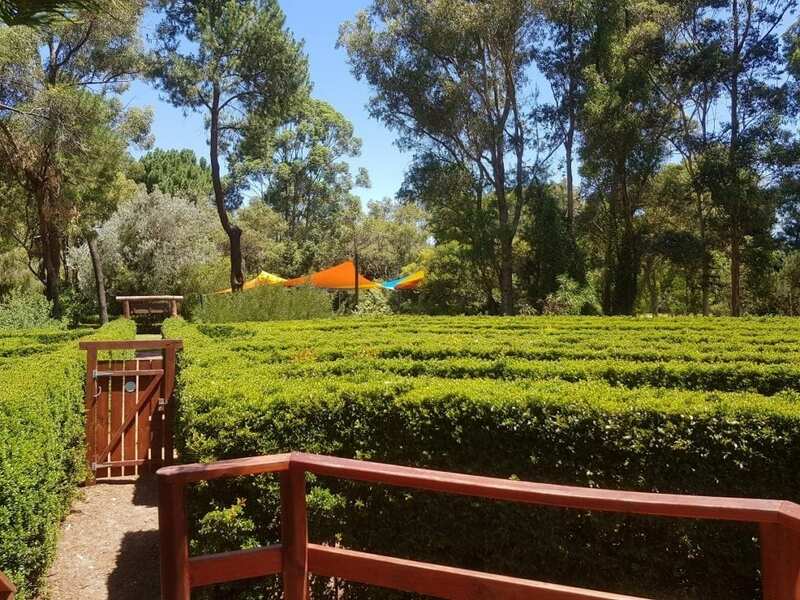 The traditional hedge maze is also a lot of fun! 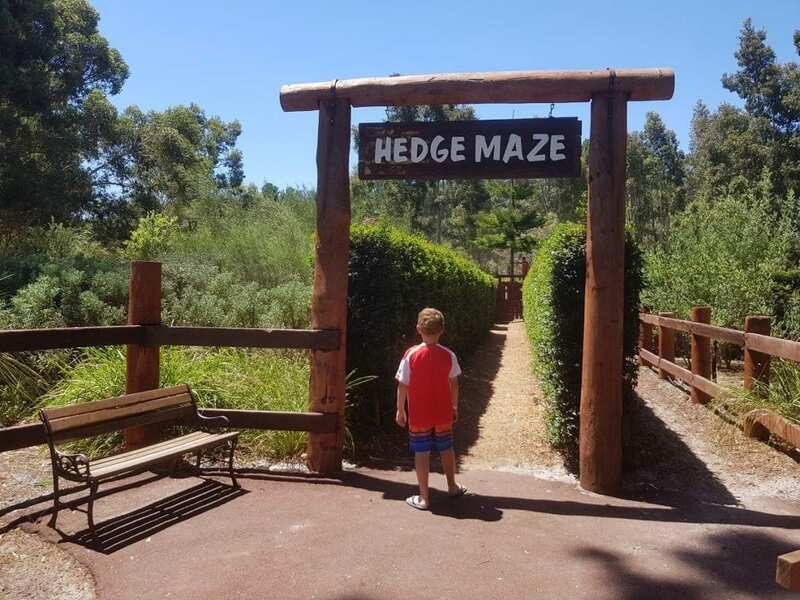 This is the only hedge maze in Perth and can also be quite a challenge! 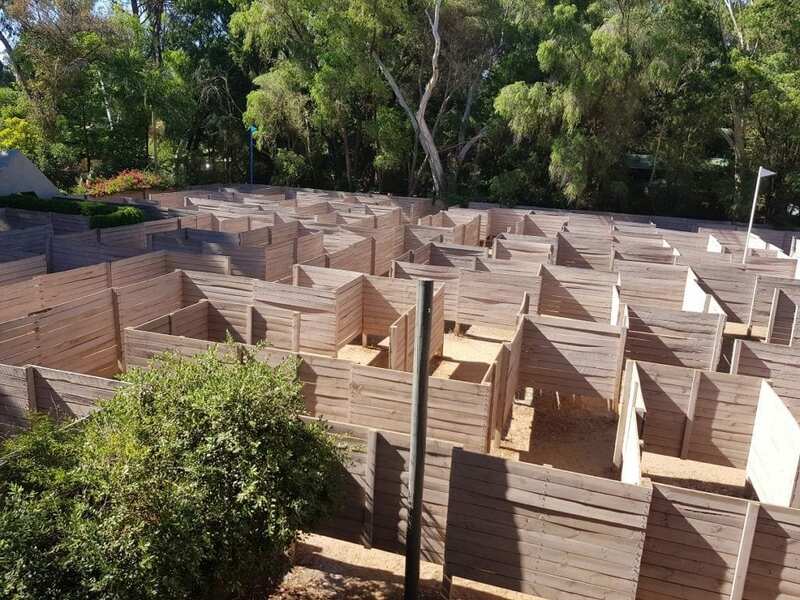 Find your way to the centre of the maze before your friends and then race them back to the exit. Another firm favourite is the tractor tyre maze. Here you must walk the planks between each tyre in a specific order – red, yellow and blue to get to the checked flag. Two small mazes look easy… but don’t be fooled! 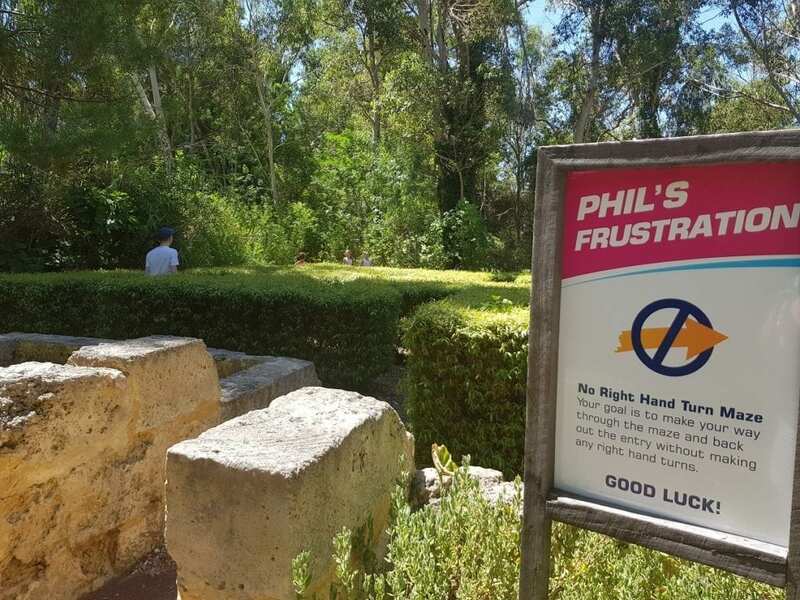 Danae’s Dilemma and Phil’s Frustration are brain teasers where you can either make right hand or left hand turns only to get to the end. It’s very tricky! Tayla’s Tangle is easier the smaller you are! 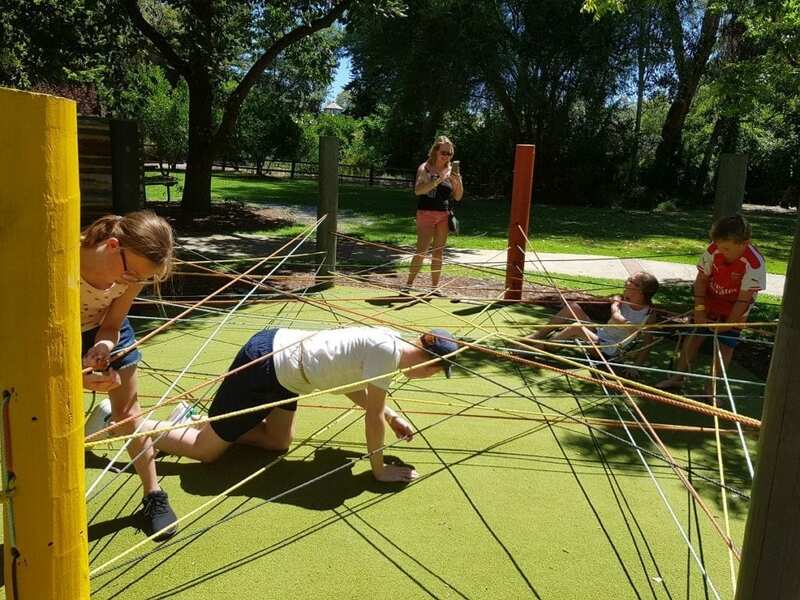 Attach a rope to your waist and duck and climb over the ropes to get to the end. 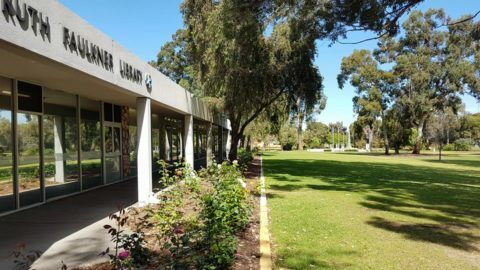 The whole park is beautifully landscaped with lots of grassed areas and plenty of shade. There are loads of picnic tables and sheltered areas (which need to be reserved) and there’s plenty of free BBQs. 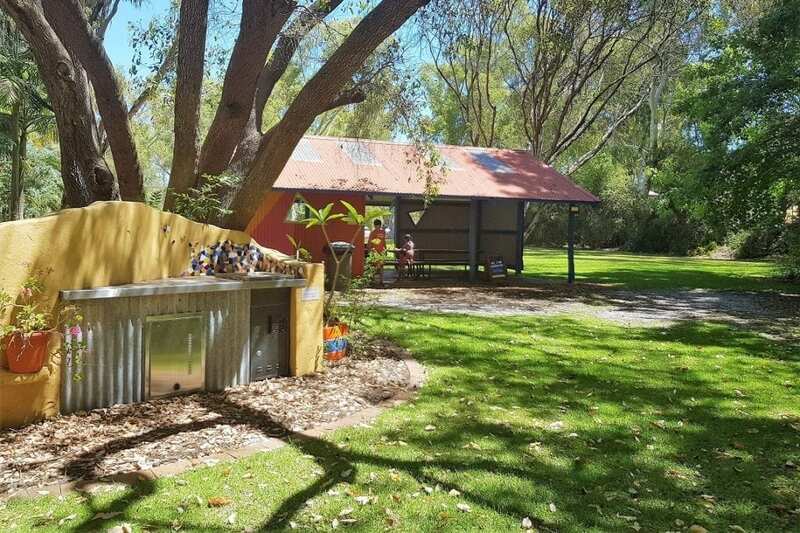 There is plenty of open space to throw down a picnic blanket and ball games. The kids can run around the expansive lawns, kick a ball play some volleyball or have fun on the tyre swing. Didn’t bring a picnic? 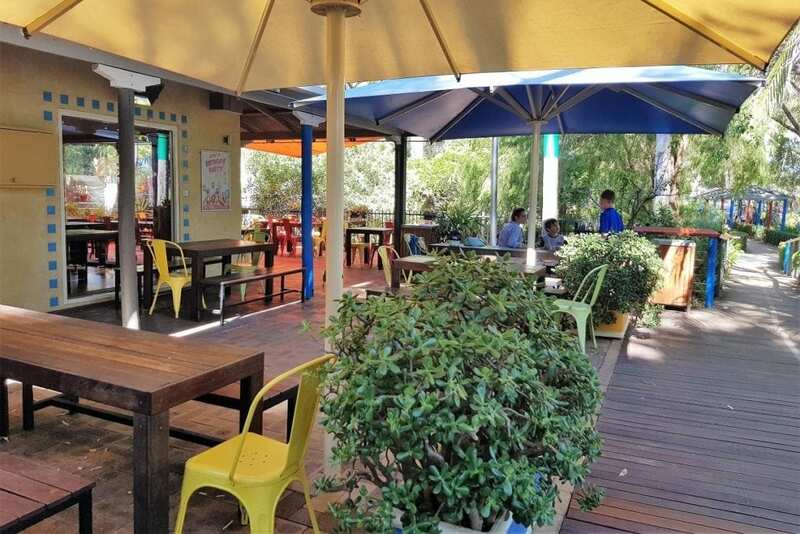 There’s lots of other options at Cafe Iguana like burgers, salad, toasted Turkish breads, gourmet hotdogs and more. Here there’s seating indoors, as well as under shade sails on the outside deck. 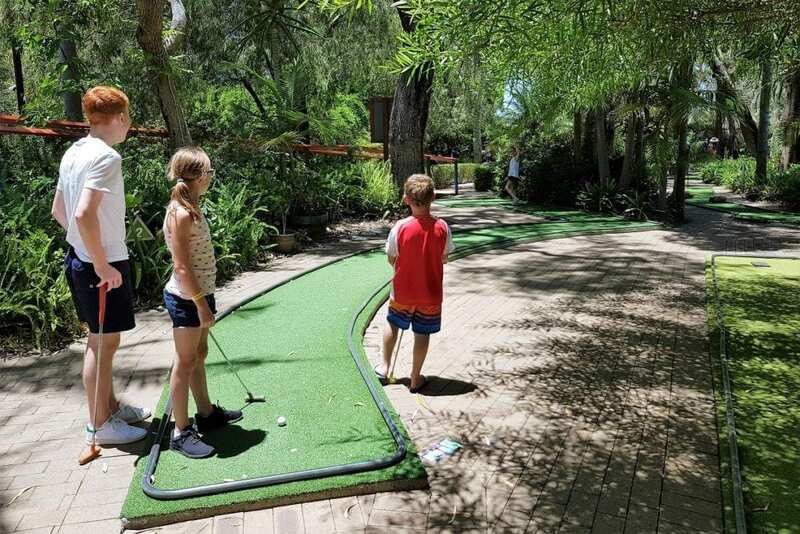 Next to Café Iguana, you’ll find a 9 hole mini golf course. It doesn’t take very long to complete, but you can play as many times as you like! There’s also a giant garden chess game. Make sure you stop by and say hello to The Maze’s newest resident, Winnie the Wombat. Winnie is a Southern Hairy-Nosed Wombat, we loved watching her waddle around her enclosure, digging burrows and taking naps – she even posed for a photo! But they are ever so cute! There are keeper talks at the enclosure at 2pm each day. 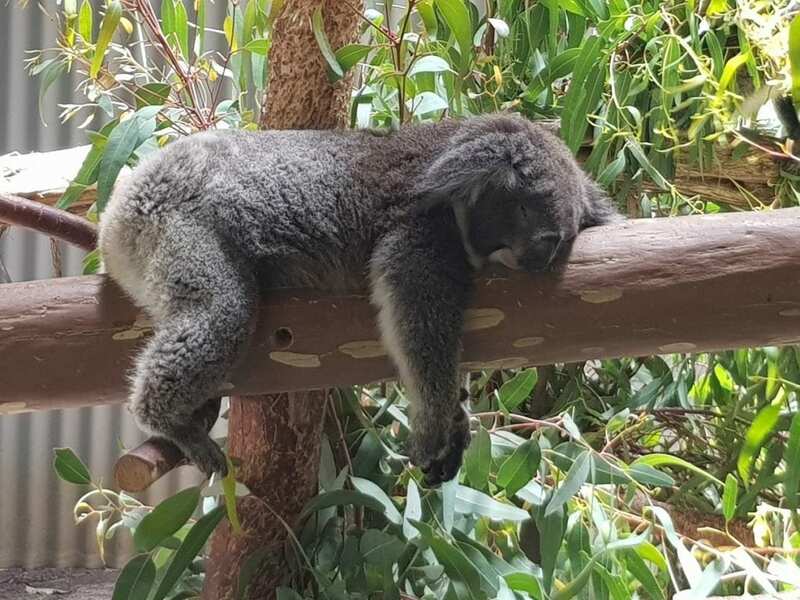 Here you can find out a little more about the animals and ask their keeper questions. 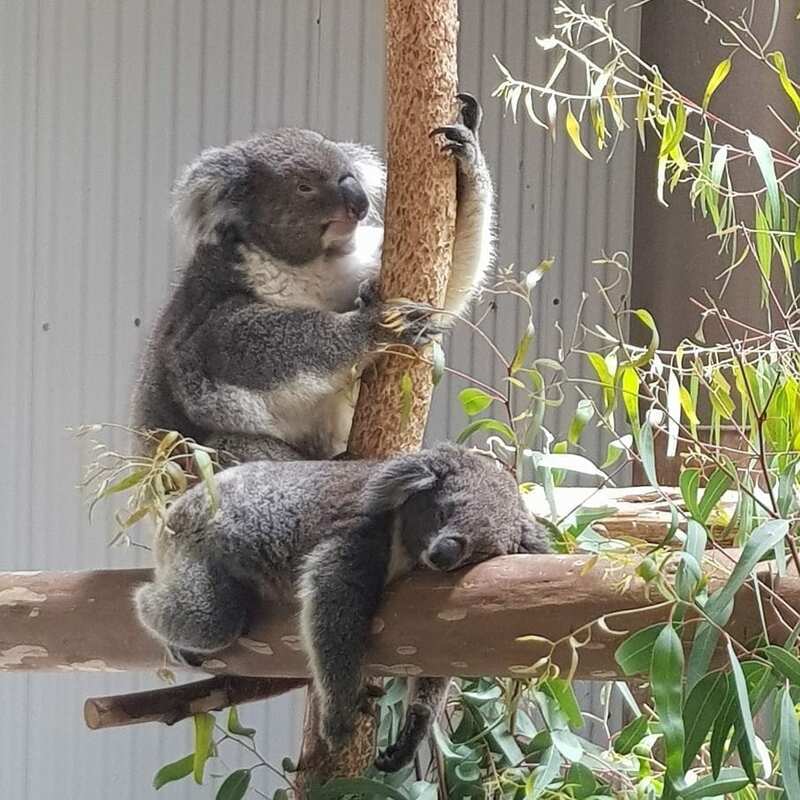 For $15 you can get up close to the koalas, pat them and take a snap with them. 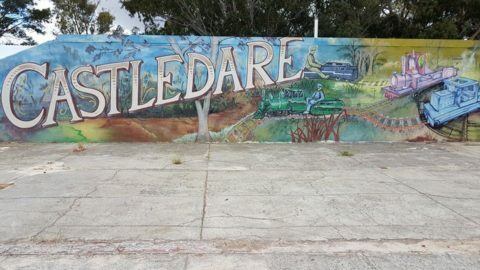 There is also a walk through Australian area, full of Kangaroos hopping around utes and windmills. 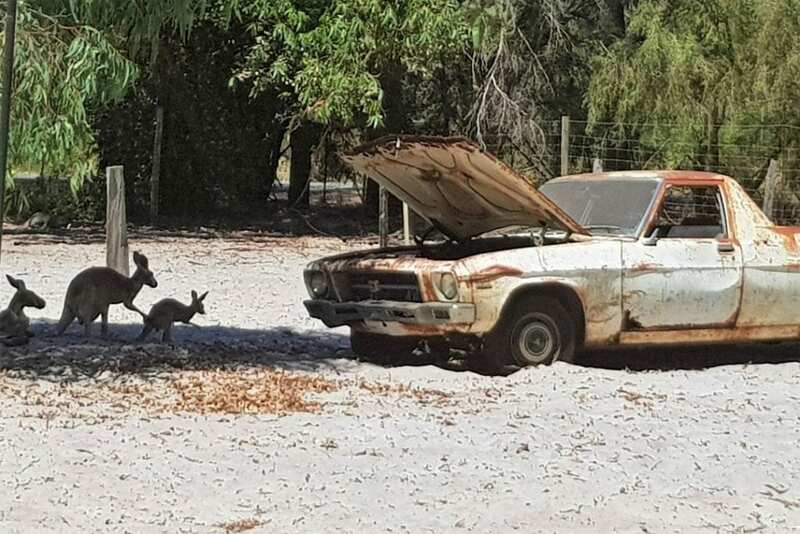 You may also spot some emus. Bird lovers will enjoy the aviary with plenty of birds. There is a wombats exhibit coming soon. 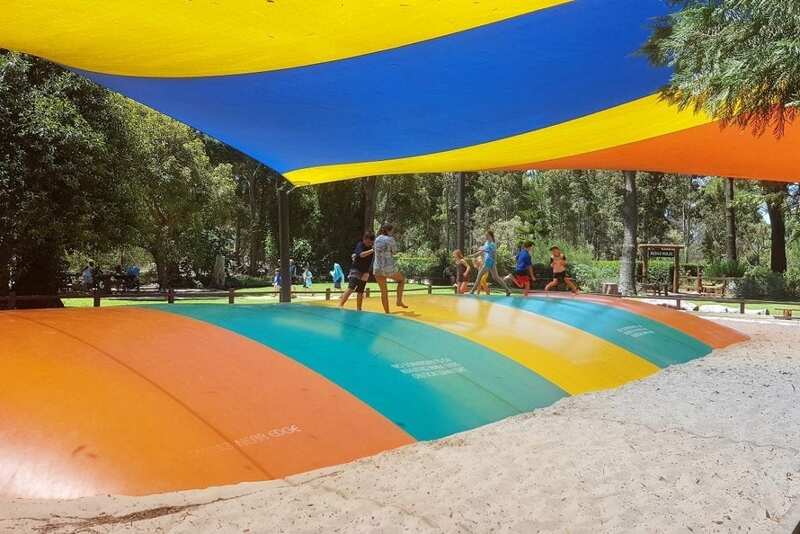 The kids loved the huge ‘jumping pillow’, which is surrounded by sand and is covered by a sail shade overhead. 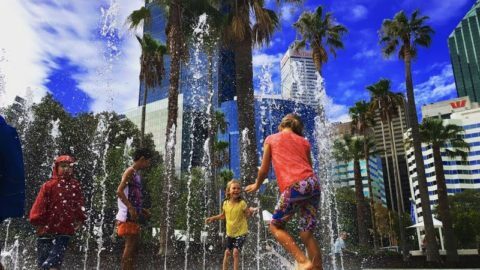 There is an ‘under 5 years old only” time each day from 1pm-2pm, so little ones can jump without getting bowled over by the big kids. 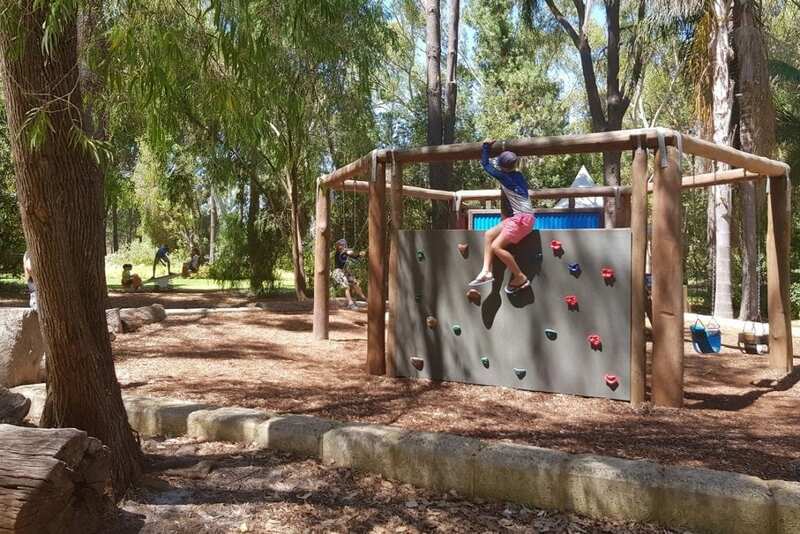 The play area is found amongst the picnic area and is very shady. 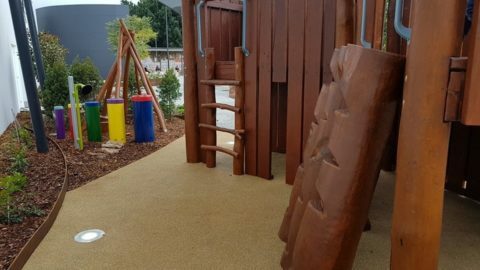 There’s swings, a climbing net, climbing wall, slide, and four-person spring see-saw. 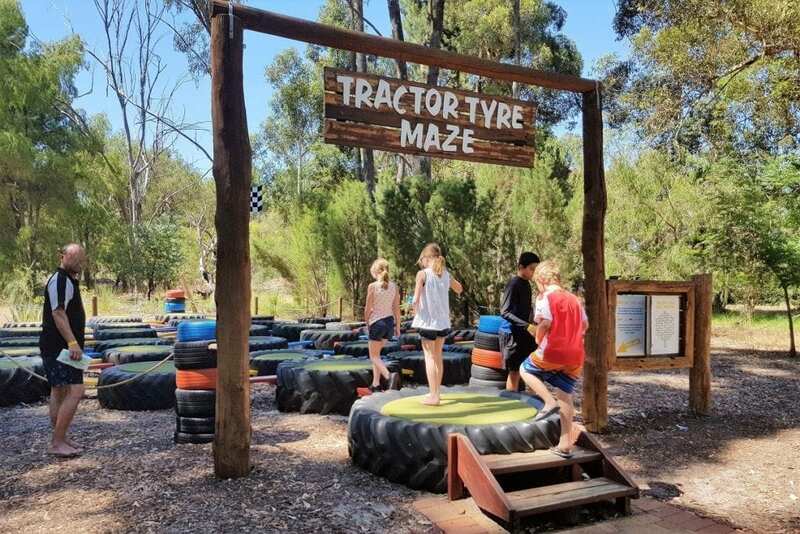 There’s plenty to do for all the family at the Maze! 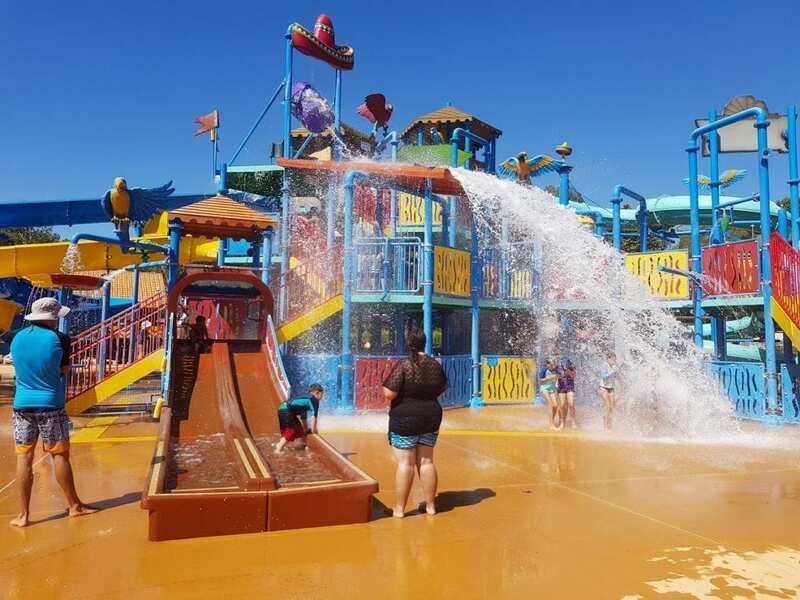 Outback Splash is also open during warmer months (check their website for details). 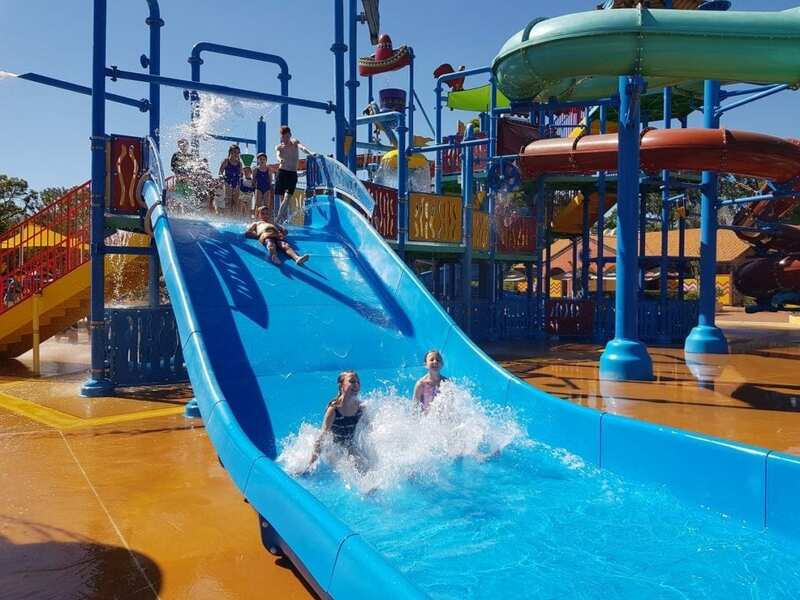 The water park features a huge waterslide playground with loads of waterslides and a tipping bucket. The Octopus Bay Splash Zone, is for younger children, while thrill seekers will love the Plummet Inflatable Slide. More on Outback Splash at our blog here. 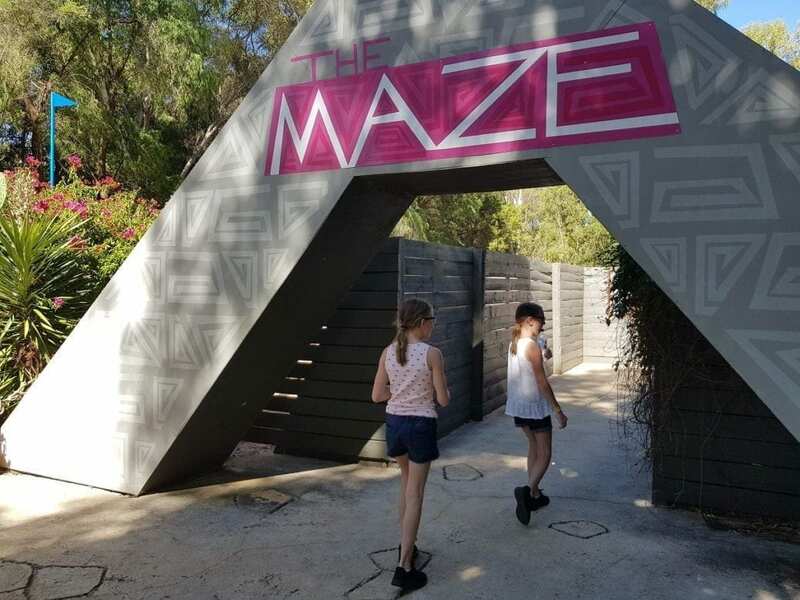 The Maze is open all year round. 7 Days a week during school and public holidays.